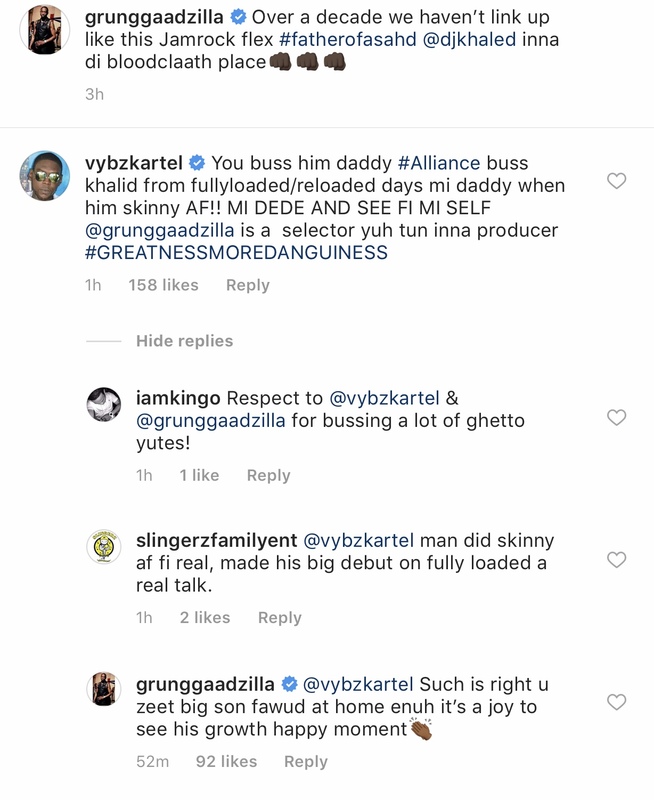 Vybz Kartel believes Bounty Killer should be credited for DJ Khaled’s success. The “We The Best” CEO who started his disc jockey career in the early 90’s got a huge boost in the Caribbean due to his affiliation with Bounty Killer and his Alliance camp. DJ Khaled, who is currently in Jamaica, attended dinner with the ‘Warlord’ and booking agent/manager Sharan Burke at Usain Bolt’s Tracks and Records in Kingston.